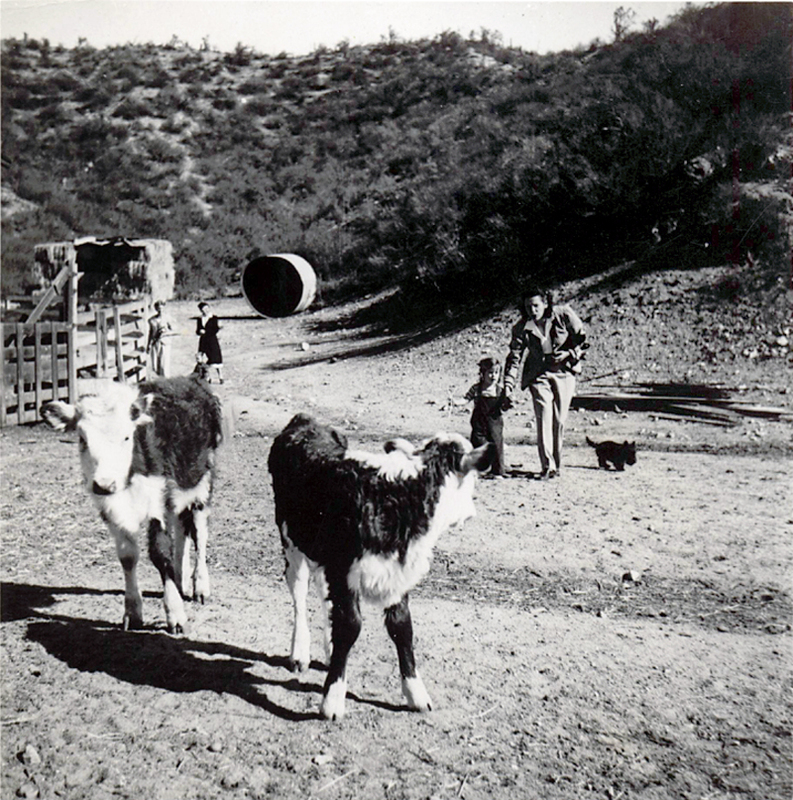 The little girl is Ella (Cappy) Carey, daughter of actors Harry and Olive Carey — and little sister to Harry (Dobe) Carey Jr.
She's at home on the Harry Carey Ranch at the mouth of San Francisquito Canyon in Saugus, which later became the Tesoro Del Valle subdivision. Cappy was born in 1923, so this would be around 1925 or 1926. About Cappy Carey and Harry Carey Jr.: [Adapted from harrycareyjr.com]: A Western character actor, Harry Carey Jr. is the son of early Western star Harry Carey Sr. and actress Olive Carey. He was born May 16, 1921, on his parents' ranch in San Francisquito Canyon (Saugus). He was nicknamed "Dobe" when he was a few hours old because his red hair reminded his father of the red soil in the area that was used to make adobe bricks. His sister, Ella, came along two years later (Nov. 16, 1923) and was nicknamed "Cappy" because her father, Harry Sr., was "captain" of his boat, the Ella Ada. DC2601a: 9600 dpi jpeg from original print courtesy of Harry Carey Jr.